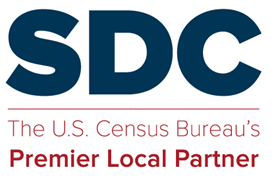 Here is a letter from the steering committee, commenting on the 2020 Census design and data collection plan, in response to US Commerce Department’s Federal Register Notice. The letter was sent August 6, 2018. In this letter, the steering committee comments that methods and processes matter: If a new citizenship data element is needed, then the processes to obtain and use such data should be thoughtfully planned, should maximize the accuracy and completeness of the 2020 Census, and should avoid introducing risks to validity. The steering committee endorses Census Bureau’s broader strategy of substituting validated administrative records data – data that already exists – where such substitution reduces response burdens or mitigates asking sensitive questions. Finally, the steering committee recommends that the Bureau make distinctions between essential, priority questions and non-priority questions. These distinctions should be reflected in the planning and programming of field followup operations and the online (internet) census questionnaire system. This entry was posted in Sharing and tagged 2020 Census.